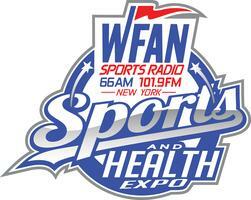 Professional Baseball Instruction is pleased to announce that we will be joining WFAN for their Sports & Health Expo Saturday June 15 from 10AM – 5 PM at the Meadowlands Exposition Center at Harmon Meadow. It’s a great family event for the entire family with a star-studded roster that includes Bernie Williams, Goose Gossage, Doc Gooden, Mickey Rivers, Mookie Wilson, Walt Clyde Frazier Tiki Barber, Antrel Rolle, Wesley Walker, David Carr, Sid Fernandez, Kerry Kittles and Sean Landeta who will be signing autographs. PBI will be conducting a series of baseball clinics with Dwight Gooden, Mickey Rivers, and Mookie Wilson. There will also be screenings for prostate and skin cancer, blood pressure, cholesterol, and diabetes. Of course, there’s plenty of food, fun video games display booths and so much more. Admission is just five dollars in advance with clinics costing just twenty five dollars and limited to 30 people aged seven and older. The Meadowlands Exposition Center at Harmon Meadow is located at 355 Plaza Drive, Secaucus NJ. Click here for directions.